Jericho replaced Rusev and will take on Undertaker at the King Abdullah Sports City Stadium in Jeddah on April 27. And the first ever WWE Undisputed Champion took to Twitter and told the fans that he will emerge victorious the same way he did in previous encounters with The Deadman. The tweet came with a WWE photo advertising their upcoming bout. Jericho and The Phenom have clashed many times since the Attitude Era that also saw them joining forces for Team WWF against The Alliance at Survivor Series 2001. Y2J also beat Undertaker for the World Heavyweight Championship in an Elimination Chamber Match in 2010. The six-time world champion was initially booked to compete in the historic 50-Man Royal Rumble Match. However, the storyline behind this claims that Rusev’s wife Lana pleaded with WWE management to remove him from such a grisly match and so Jericho stepped in. The only way to win a Casket Match is by putting your opponent in a coffin and shutting the lid. Jericho hasn’t been seen in Vince McMahon’s promotion since January where he returned for RAW 25. His last battle took place last year in June on Smackdown where he lost a Triple Threat Match for the US title against Kevin Owens and AJ Styles, who won the belt. Y2J’s return at the Greatest Royal Rumble is expected to be a one-off. 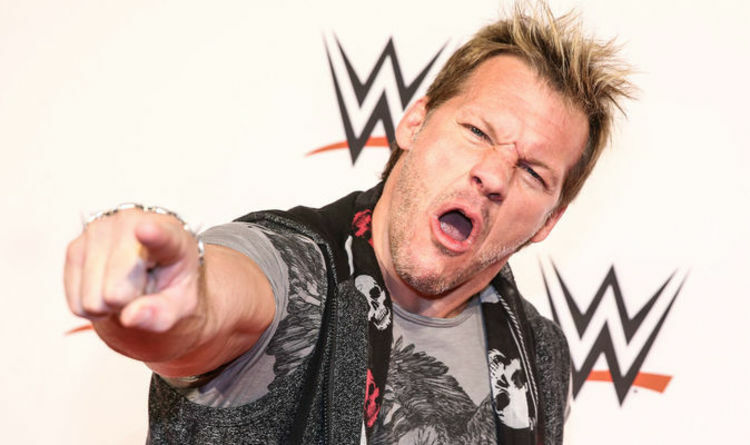 Jericho has other projects outside of wrestling as he is enjoying a career in music with the band Fozzy and has also worked in various different media platforms. Undertaker made an epic return at WrestleMania 34 where he destroyed John Cena in under three minutes. Cena will also be in action in Saudi Arabia as he takes on former rival Triple H.
Universal Champion Brock Lesnar will also defend the title against Roman Reigns in a Steel Cage Match.